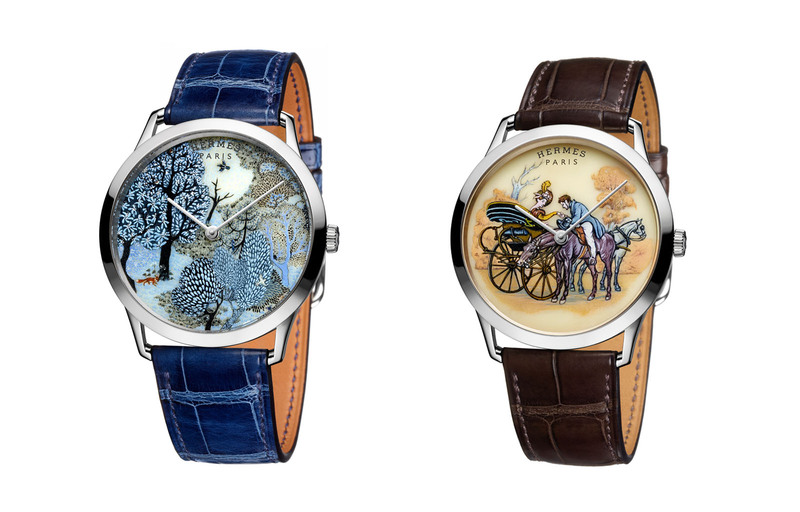 A trio of watches that frame tiny paintings created with a micro-brush. Hermès has long been a proponent of traditional artisanal crafts, from Touareg silversmiths in the Niger delta to lacquerware painted by hand in Vietnam, retailing goods made by craftsmen the world over in its posh stores. Despite their disparate and sometimes exotic origins, such items are always sublimely designed and almost absurdly expensive. 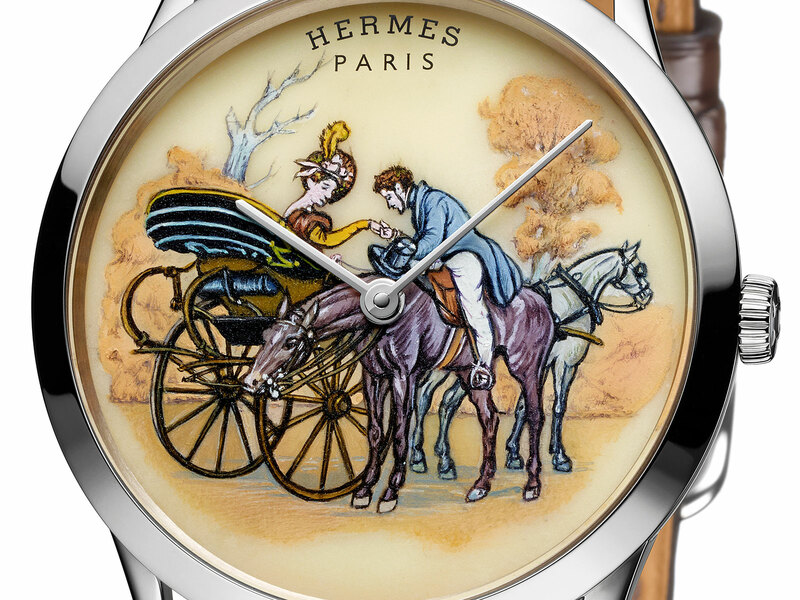 And so it is with Hermes’ watches, which have featured a staggering variety of exotic dials including straw marquetry, French lacquer and crystal glass dials specially made by its subsidiary, Cristalleries Saint Louis. 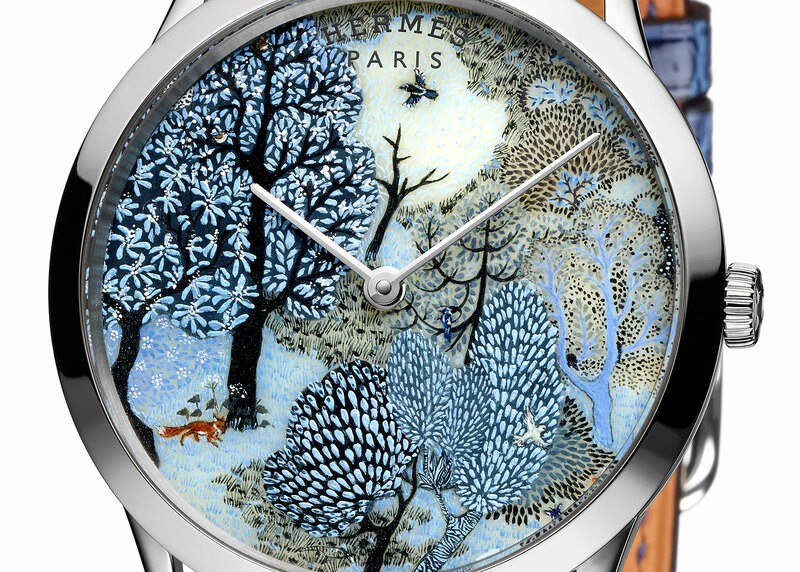 For its latest trio of timepieces, Hermes has turned to ancient arts from the East and West that mirror each other: Persian miniature painting and enamel miniature painting. 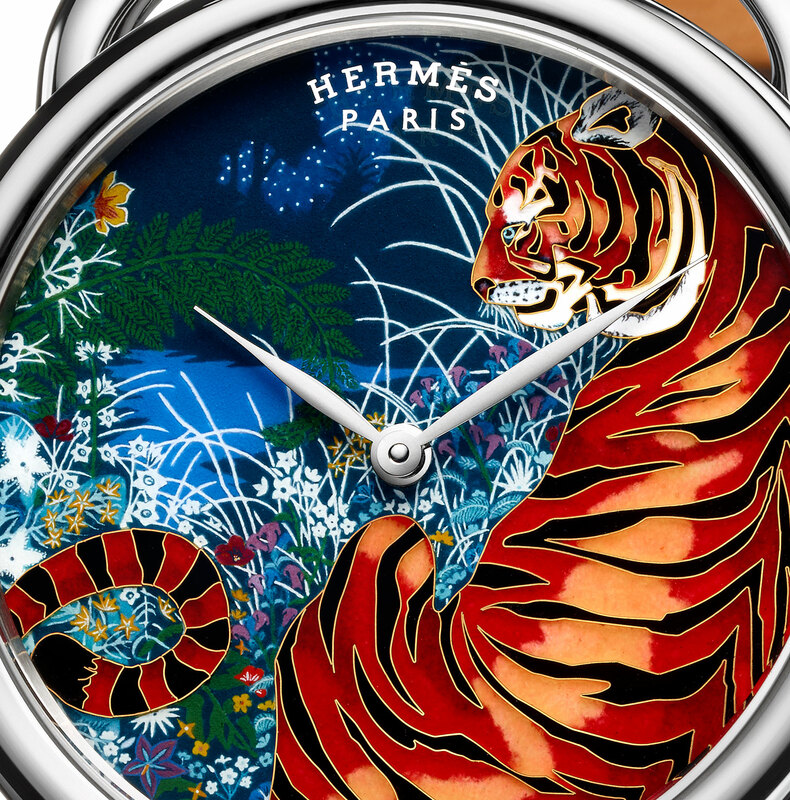 As is tradition, Hermes once again transposes scarf designs onto the dials. The Dans un Jardin Anglais silk scarf depicts a wintry landscape, having been designed by Alice Shirley as part of Hermès’ Spring-Summer 2015 collection, while the iconic Promenade de Longchamp dates to 1965, a design by Philippe Ledoux showing the Parisian social scene at the racecourse. Both are based on the elegant Slim d’Hermes wristwatch. Both designs are recreated in miniature with Persian miniature painting, a technique that requires powdered camel bone and deft hands. The dial base is made of finely ground camel bone mixed with a mystery resin, giving it a porous surface that absorbs colour applied with a fine-tipped brush. 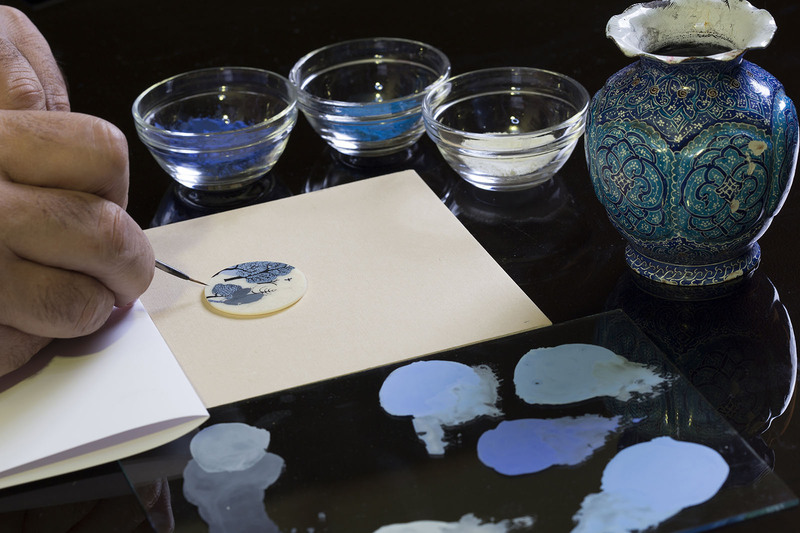 Natural pigments, including saffron, walnut, henna, pomegranate, lapis lazuli and turquoise, are ground to a fine powder and bound with gum Arabic, ensuring greatest possible depth of colour. Gold and silver leaf, a common element in Persian miniature painting, are then added. Then a protective cellulose varnish is applied to the dial once it’s completed to guard against oxidation. Both watches feature a white gold case measuring 39.5mm and the self-winding H1950 movement made by Hermes affiliate Vaucher, a movement maker majority owned by Parmigiani. Each motif will run in 12-piece limited edition. The Slim d’Hermès Dans un Jardin Anglais is priced at €55,000, or US$61,800 while the Slim d’Hermès Promenade de Longchamp is priced at €60,000, or US$67,000. 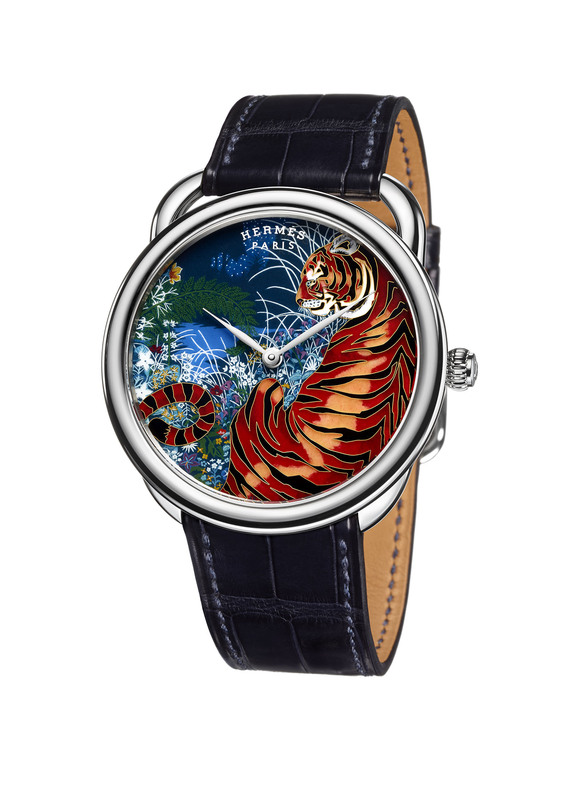 The third watch is the one-off Arceau Tyger Tyger, a motif once again drawn from another of Alice Shirley’s scarves. 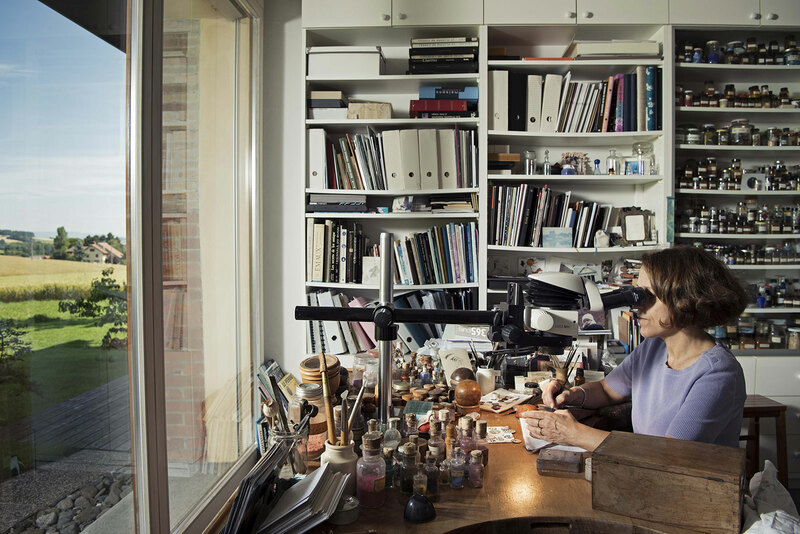 Transferring the design from silk to metal was the work of renowned enameler, Anita Porchet, a frequent collaborator of Hermes. 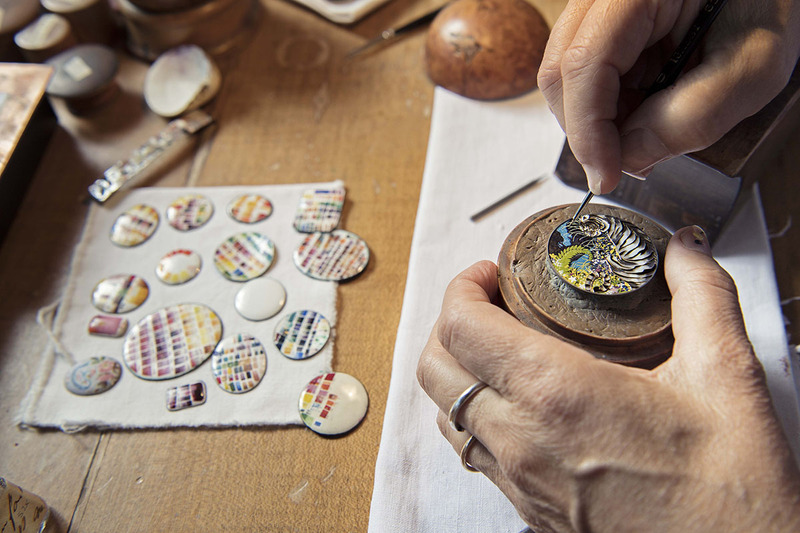 The dial consists of both cloisonné and miniature enamel painting — crafts that are equated with patience, a trained eye, and a steady hand. 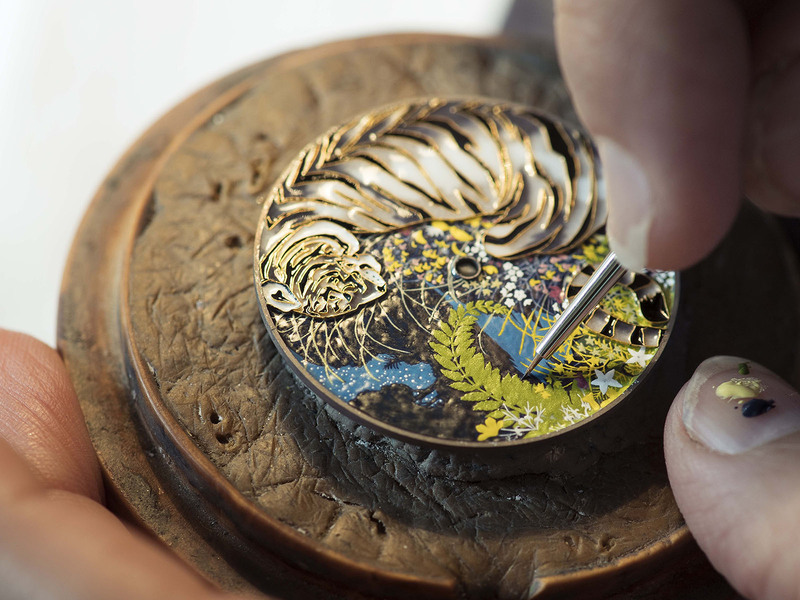 Layers of enamel powder are mixed with essential oils and applied on a white gold dial disc using an extremely fine brush, forming the base of the design. Each layer requires baking, resulting in multiple elaborated firings to intensify the colours, or alter their translucency. Porchet then uses thin gold wires to mark the outlines of the feline and solders them onto the base to create enclosed cells which are further filled with colour enamel. The dial is once again fired in a kiln at a temperature of 800ºC. Once completed, a layer of clear enamel is then applied over the painting to give it a glossy finish. The Arceau Tyger Tyger is based on the stirrup-inspired asymmetric case that made its debut in 1978, here in white gold with a diameter of 41mm. It’s powered by the H1937 automatic, also produced by Vaucher. 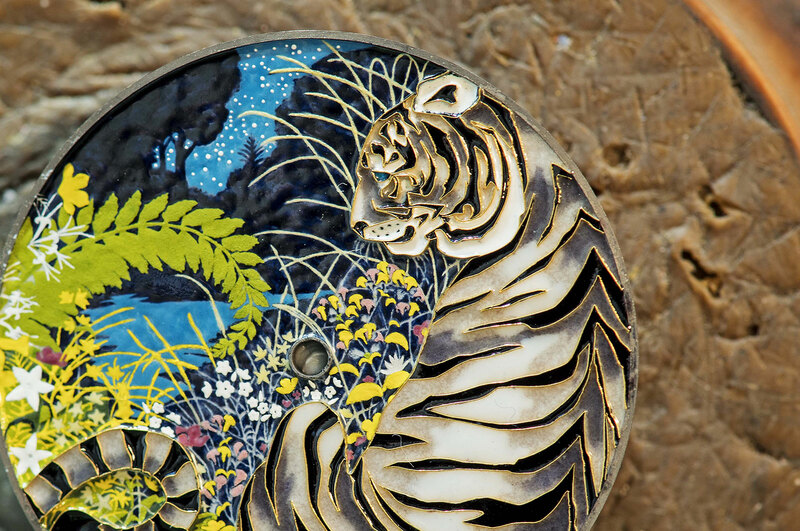 The Tyger Tyger is a one-of-a-kind watch, with only a singular example having been made, and is priced at €118,000 or US$133,900.